You bought a Sony stereo but not able to install it because the harness is missing. 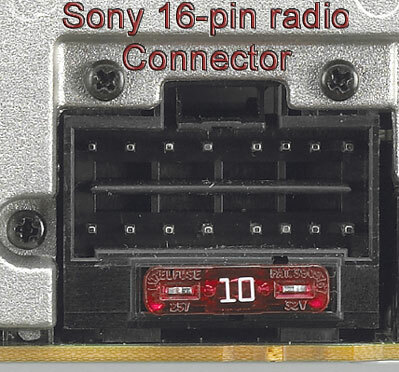 This car stereo plug fits the 16-PIN connector on radios manufactured by Sony. The BHSON16 includes power and speaker wires, and each is labeled with its specific function. 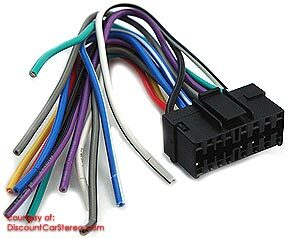 The wiring color codes are EIA standard. The BHSON16 fits all Sony AM/FM/CD, AM/FM/Cassette with this 16-pin connectors as seen on the left. 2. This 16-pin plug does not fit select Sony Audio/Video products. Their 16-pin connector is smaller and the BHSON16 will not fit.